Our customers have the right to access, correct and delete personal data relating to them, and to object to the processing of such data, by addressing a written request, at any time. 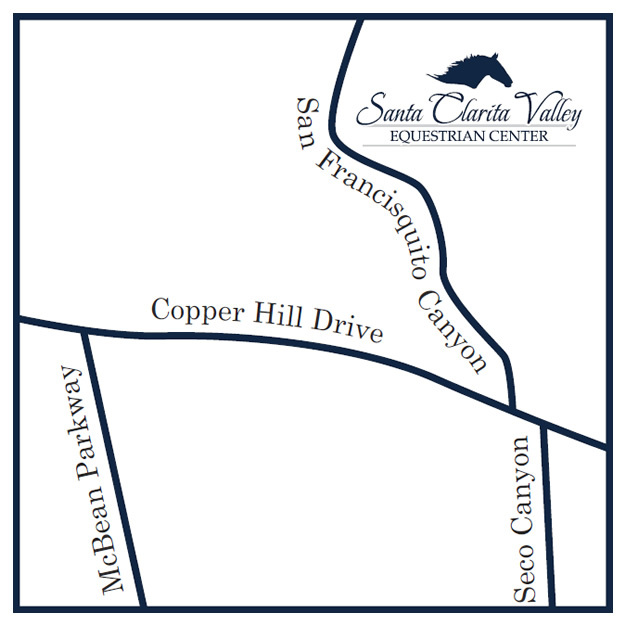 The Santa Clarita Valley Equestrian Center makes every effort to put in place suitable precautions to safeguard the security and privacy of personal data, and to prevent it from being altered, corrupted, destroyed or accessed by unauthorized third parties. However, Santa Clarita Valley Equestrian Center does not control each and every risk related to the use of the Internet, and therefore warns the Site users of the potential risks involved in the functioning and use of the Internet. The Site may include links to other web sites or other internet sources. As Santa Clarita Valley Equestrian Center cannot control these web sites and external sources, the Santa Clarita Valley Equestrian Center cannot be held responsible for the provision or display of these web sites and external sources, and may not be held liable for the content, advertising, products, services or any other material available on or from these web sites or external sources. You can view or edit your personal data online for many of our services. You can also make choices about our collection and use of your data. How you can access or control your personal data will depend on which services you use. You can choose whether you wish to receive promotional communications from our web site by email, SMS, physical mail, and telephone. If you receive promotional email or SMS messages from us and would like to opt out, you can do so by following the directions in that message. You can also make choices about the receipt of promotional email, telephone calls, and postal mail by visiting and signing into Santa Clarita Valley Equestrian Center Promotional Communications Manager, which allows you to update contact information, manage contact preferences, opt out of email subscriptions, and choose whether to share your contact information with our partners. These choices do not apply to mandatory service communications that are part of certain web site services.